The NFL is newly focused on cutting down on holding. Can the Seahawks adjust? NFL officials have thrown an increasing number of flags for holding the last three weekends and the Seahawks said they have to make the proper changes to how they block. One obvious question for the Seahawks heading into Sunday night’s game against the Chiefs — can they cut down on the offensive holding penalties that were so vexing in last week’s loss to the 49ers? One increasingly emerging complication is the NFL’s newfound desire to call offensive holding. 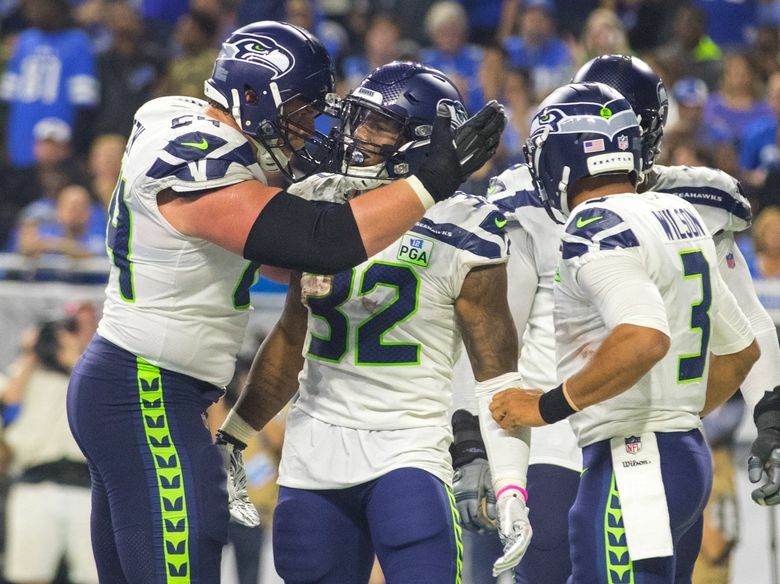 Seattle coach Pete Carroll talked openly Wednesday of something other coaches had begun hinting about over the last week or so — that the league told teams three weeks ago that it was going to emphasize proper blocking up front and look to cut down on holds. Seattle, which was called for 12 holds in the first 11 games of the season, has been called for 10 in the last three, five Sunday. The spike around the NFL became noticeable three weeks ago when 94 holds were called after no more than 66 had been called in other week. There have been 62 and 65 in the two weeks since then, according to NFLPenalties.com. Carroll began coaching in the NFL in 1984 and while he said some in-season tweaks to penalty emphasis aren’t uncommon, this one feels a little different. And Carroll said that has been the focus in practice this week — that Seattle coaches and players have to realize that the way the league is calling has changed and adjust to it. Offensive line coach Mike Solari said the main focus is an obvious one for linemen — don’t get caught with your hands outside a defender’s body. He mentioned a version of that phrase four times in an interview Wednesday. And the increase has hit almost all of the Seattle linemen equally — Germain Ifedi, J.R. Sweezy, George Fant, D.J. Fluker and Ethan Pocic have all been called for two holds during the last three weeks. Pocic’s gained the most attention for coming late in the game and for one helping stall Seattle’s overtime drive. The emphasis has come in a season when teams are averaging more yards per game (354.4, according to Pro Football Reference) than any time in league history. “They’re just trying to make the game right and sometimes, they can get kind of in a mode where they’re not calling stuff and that’s when they check themselves and then they fix things and make sure that they get back to the consistency that they want,’’ Carroll said. Ifedi said coaches immediately told players about the NFL’s renewed emphasis on holds when it came out three weeks ago.